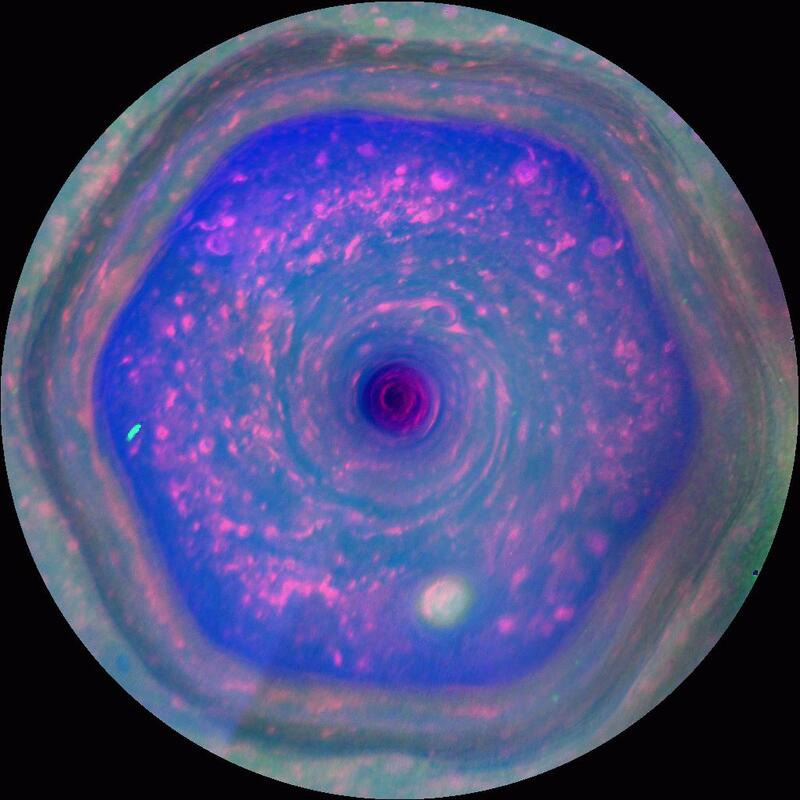 In full view, the amazing six-sided jet stream known as Saturn’s north polar hexagon is shown in this colorful Cassini image. Extending to 70 degrees north latitude, the false-color video frame is map-projected, based on infrared, visible, and ultraviolet image data recorded by the Saturn-orbiting spacecraft in late 2012. First found in the outbound Voyager flyby images from the 1980s, the bizarre, long-lived feature tied to the planet’s rotation is about 30,000 kilometers across. At its center lies the ringed gas giant’s hurricane-like north polar storm. A new long term study of Cassini data has found a remarkable higher-altitude vortex, exactly matching the outlines of the north polar hexagon, that formed as summer approached the planet’s northern hemisphere. It appears to reach hundreds of kilometers above these deeper cloud tops, into Saturn’s stratosphere. Posted on Friday, 7 September 2018 by VGC	This entry was posted in ifttt-photograph and tagged IFTTT, NASA. Bookmark the permalink.